(BEIJING, April 30) -- Nearly a hundred singers that included Jackie Chan, Emil Chau, Wang Lee-Hom, Gigi Leung gathered at Tai Miao at the Beijing Working People's Culture Palace to celebrate the 100-day countdown to the Beijing Olympic Games on the evening of April 30. The party began at 7:30 p.m., when singers performed a range of Beijing Olympic songs as a prelude for the real treat a half hour later, the first live rendition of "Beijing Huan Ying Ni" ("Welcome to Beijing"), which was written especially for the occasion. Afterwards, an awards ceremony was held to recognize 30 outstanding Olympic songs and 10 outstanding Paralympic songs, including "Light the Passion Share the Dream," composed by Chris Babida and written by Huang Xiaomao; "I Am A Star," composed by Emil Chau and written by Lam Jik; and "Smile Beijing," written and composed by Chen Ying. 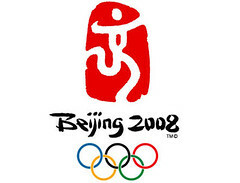 The latter two songs were named the theme songs for the Olympic and Paralympic volunteer programs, respectively. In addition, Aifly, Zhengzhou Synear, China Mobile, China Record Corporation, People's Music Publishing House and Radio Beijing were recognized as outstanding organizations, and FAW-Volkswagen was recognized for its special contributions. Feng Jianzhong, Vice Minister of the General Administration of Sport, Cai Fuchao, Member of the Standing Committee and Head of the Publicity Department of the CPC Beijing Municipal Committee and Vice Mayor of Beijing Municipality, BOCOG Executive Vice-President Liu Jingmin, BOCOG Executive Vice-President Jiang Xiaoyu, Tang Xiaoquan and other municipal and BOCOG officials presented the awards. Organized by BOCOG, the evening's celebration activities were sponsored by FAW-Volkswagen, with media support by China Mobile.